Pleasanton, CA— November 29, 2016 — NextHome is proud to announce our newest location for the franchisee, NextHome Experience. The firm will represent the second location in the state of Ohio. The brokerage will be operated by business partners, David Caraboolad and Vadim Barash, who opened their first NextHome brokerage in Ohio in September of 2016. In the first 60 days of opening their first location, Caraboolad and Barash have added eight agents to their firm. With the quick, yet strategic growth of their company, the business partners are opening their second office. Located 35 miles east of Columbus, the new Granville location will service the needs of residents in Granville, Newark, Heath, New Albany, Pataskala, Reynoldsburg and the remainder of Licking County. “That difference is attracting talented agents throughout our region to come and speak with us,” added Barash. The Granville branch will serve as an additional support office to their main location in Columbus which provides residential real estate services to Columbus and the surrounding metropolitan area. Barash started his real estate career in 1999 as a REALTOR® with King Thompson Realtors in Columbus. In his very first year, Barash closed nearly 40 transactions and set the tone for his successful real estate sales career. In 2001, Barash opened his own real estate brokerage, RE/MAX Town Center. Alongside the company’s broker of record (and Barash’s wife), Marina, the couple grew the brokerage from just the two of them to 187 agents in less than five years. And the results were nothing short of exceptional. 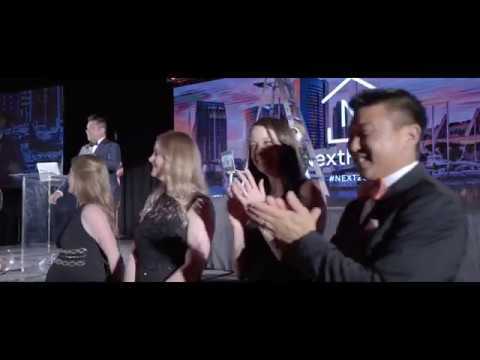 The brokerage exceeded 5,000 transactions annually and was ranked one of the Top 50 producing offices in the world for the global RE/MAX franchise. After a decade of brokerage leadership, Barash sold his brokerage and moved into a corporate role with RE/MAX in the summer of 2011. He served as a franchise sales director for the Ohio region until late 2015. RE/MAX Town Center had many successful agents at the company. Caraboolad was one of those agents. A graduate of Ohio State University, Caraboolad began his real estate career with a local real estate brokerage, North Steppe Realty in 1994. In addition to his real estate sales, Caraboolad served as the accountant for the brokerage, overseeing the details to the property management of 80 units. In 2003, he joined RE/MAX Town Center to work with Barash and was a consistent producer. He closed over 40 transactions annually and was an award winner every year he worked at the brokerage. While he was successful in sales, Caraboolad wanted to use his entrepreneurial background to open his own brokerage. In early 2016, Caraboolad began researching potential real estate brokerage opportunities and franchises to affiliate with. During his research, he received a call from an old friend – Barash. When not selling real estate, the business partners focus on family. Barash and Marina have been married for 18 years and have two children – son, Brandon (14 years old) and daughter, Riley (8). Admittedly a “hockey family” the four of them enjoy attending NHL hockey games and traveling together. Caraboolad is married to his wife of 17 years, Wendy and are parents to their ten-year-old son, Gabriel. Diagnosed with autism at an early age, the Caraboolads focus on caring for Gabriel and providing care for their special needs child. They are founders of “Gabe’s Army” and creators of the local Columbus Autism walk to raise awareness for the disorder. Please join us in congratulating Vadim, David, and the rest of the team at NextHome Experience on their second NextHome office!